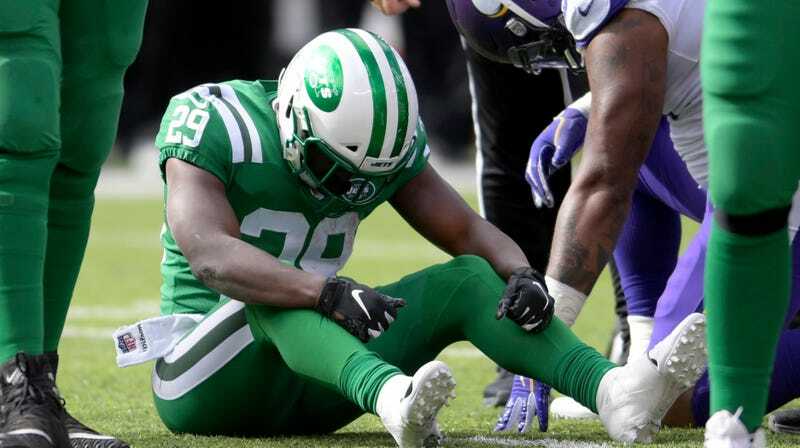 Jets running back Bilal Powell has been placed on season-ending IR after suffering a neck injury that will require surgery, and head coach Todd Bowles says there’s a chance it could be career-ending as well. It happened on a play that didn’t look all that bad at the time, which almost makes it scarier. Powell, who turns 30 on Saturday, is 10th on the all-time Jets rushing list. He has 3,446 yards and 15 rushing TDs in eight seasons, all with the Jets. He’s a free agent after this season, so even if he’s medically able to play football again, he’s going to need to convince some team of that. In his absence, the Jets backfield will consist of Isaiah Crowell and rookie Trenton Cannon. Everson Griffen Back With The Vikings After Mental Health Evaluation: "I&apos;m Taking It One Day At A Time"